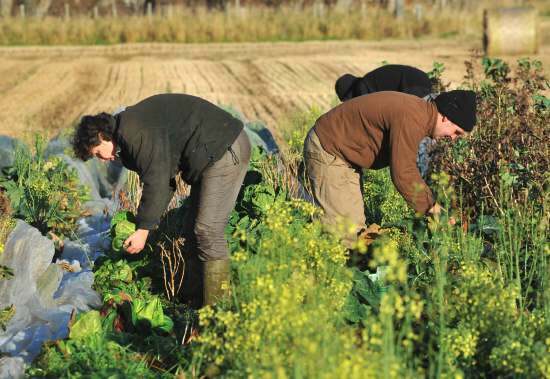 Farm to Work Ltd was founded in 2008 by Caroline Matheson who was inspired by the Care Farming movement in The Netherlands and other parts of mainland Europe. Research has shown that working on the land in a supportive team can bring great benefits to people experiencing difficulties in their lives. The farming experience is used to improve the health and wellbeing of clients by engaging with nature, farm animals, growing crops and looking after the countryside. Clients are encouraged to try all aspects of farm work and are encouraged to build on what they can do rather than focus on limitations. As people engage with meaningful work and develop a sense of purpose they often ‘find themselves’ and are more enabled and empowered to take control of their lives and move on to a better future. People are referred from a wide range of agencies and are helped by an experienced and qualified health care professional along with rural skills instructors who assess, encourage and support clients along the way. The Farm to Work Project (funded by Department of Work and Pensions) has been running since July 2008 and in that time has enabled many people who were receiving Benefits to move into work, higher education or voluntary activity .For others the experience has been a therapeutic step towards the workplace.